After almost 20 hours of non-stop debate and loud opposition by civil liberties associations, student associations, the Quebec Bar Association and opposition MNAs, Bill 78 was passed by the Quebec National Assembly with 68 in favour, and 48 opposed. 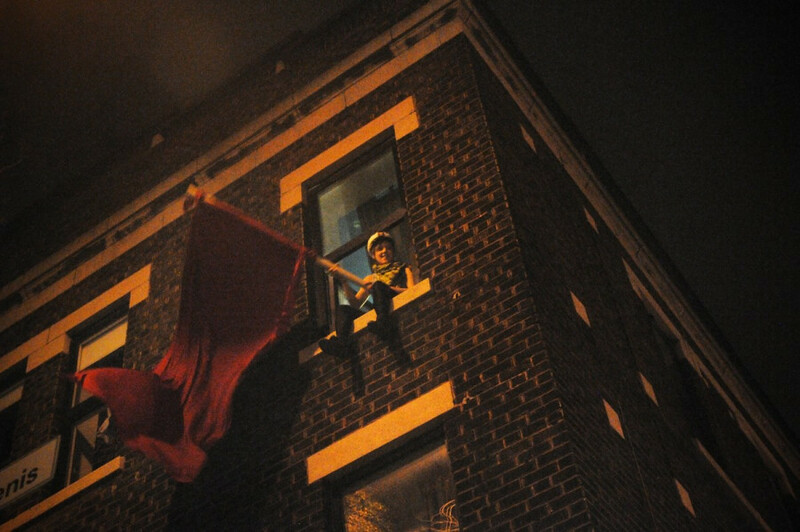 The law came into effect on the morning of May 19, amidst a series of student protests being held day and night in Montreal. Bill 78, An Act to enable students to receive instructions from the postsecondary institutions they attend was proposed by the Charest government in an attempt to end the province-wide student strike in protest of tuition increases now in its 14th week. The act provides a new calendar for CEGEPs and universities impacted by the strike, adds strict rules for student demonstrations and creates a number of offences punishable by fines that range from $7,000 to $125,000. According to the new law, these associations are also liable if they help or encourage their members to disrespect this act. This could include encouraging members to block access to a university or disturb its normal functioning. The act also requires student associations to make their members respect the dispositions set in the act. “It’s quite shocking that the government changes the rules of the game regarding the social consensus of the last 50 years without acknowledging it,” said Lampron. Parts of the act, he said, clearly violate the Canadian Charter of Rights and Freedoms. “The first one would be freedom of expression and the right to demonstrate, which is restricted by this law,” said Lampron. The government said the bill is intended primarily to guarantee that students can finish their semester and restore peace on the streets of Montreal. “The government wants to allow students to attend their classes and give back to the Quebec population a peaceful society without violence or intimidation,” said Justice Minister Jean-Marc Fournier in a press conference following the law’s adoption. “There were unfortunate events in the metro, on different bridges, in Victoriaville that should not exist in Quebec and requires action from the government,” he added. However, student associations were quick to react to the adoption of Bill 78. “We won’t rule out disobeying the law,” said CLASSE’s spokesperson Gabrielle Nadeau-Dubois in an interview with Le Soleil. Several organizations including the Quebec Bar Association and Amnesty International strongly opposed the bill before its adoption. The final draft of the act was adopted with a number of amendments. The number of people required to inform the police of their itinerary was raised from 10 to 50, and police can only change a demonstration itinerary if it “poses serious risks for public security.” Section 29 was also rewritten to only prosecute people encouraging offences listed in the act. Employees, including professors, will also be forced to work regardless of the number of students attending classes. Both Quebec Solidaire and the Parti Québécois voted against the proposed law. “There is in this bill a serious infringement to freedom of expression and freedom of association,” said MNA Véronique Hivon, the official opposition critic for justice. Despite the opposition, Lampron warns that challenging the law could take some time, with the added difficulty that the bill will be automatically cancelled in July 2013. Charter challenges follow a two-step process where the complainant has to establish first there is a violation of rights. “Second, if the associations are successful in the demonstration that this law restricts one of their rights we have a shift of the burden of proof,” said Lampron. “It’s [then] up to the government to demonstrate those restrictions are justified under section one of the Charter. “It’s really weird to invoke the Charter to justify a special law like this one when the Charter is all about democratic participation, freedom of expression and freedom of association,” added Lampron.